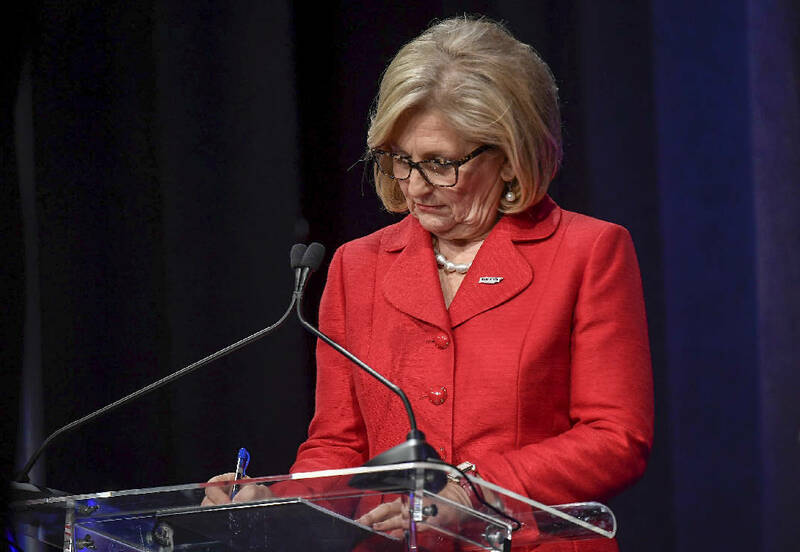 NASHVILLE — The American Conservative Union announced today it has endorsed U.S. Rep. Diane Black in the Gallatin congressman's GOP gubernatorial bid. Its endorsement comes as the ACU-sponsored Conservative Political Action Conference 365 meets in Memphis this week where Black is scheduled to speak tonight on two panels with U.S. Housing and Urban Development Secretary Ben Carson. Black called the ACA "a leader in the fight to protect and defend our constitution and the values on which our country was founded. Because of their efforts, our country is a stronger, safer, freer place," Black said, later adding that as governor "I will make sure the world knows that Tennessee is open for business and that every Tennessean who wants a job will have the opportunity to live their version of the American Dream." Black is vying in the GOP primary with Knoxville entrepreneur and former state economic and community development commissioner Randy Boyd, state House Speaker Beth Harwell of Nashville and businessman Bill Lee of Franklin. Early voting in Tennessee state primaries and county general election contests starts July 13.